Siblings: Obadiah Springfield and an unnamed sister. 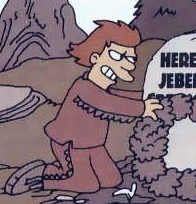 Zechariah Springfield was son of Jebediah Springfield and brother of Obadiah Springfield and an unnamed sister. When his father died he and his brother split Springfield into two parts.